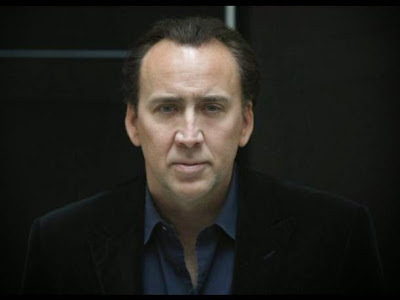 The actor Nicolas Cage will star in the hilarious comedy Army Of One, a film inspired by the true story of a construction worker who intends to capture Osama Bin Laden on his own. The film will feature the director of "Borat", "Bruno" and "The Dictator" as a director, Larry Charles, and will be produced by The Weinstein Company. The idea for the film was born from an article published in GQ magazine chronicle the misadventures of Gary Faulkner, a worker of Colorado (USA) who traveled to Pakistan to give the leader of Al Qaeda. Faulkner ended up being arrested in 2010 by police in the Asian country, where they seized a pistol, samurai sword, knife, night vision goggles and Christian literature. The man, an ex-convict, was sent to the US, where he became famous overnight, and in 2011 returned to jail after starring in an altercation with a neighbor in which he fired a gun. Since 2008 Cage is trying to solve his serious fiscal problems after years of big spending and poor financial management, exacerbated by the economic crisis that led him to owe $ 14 million in taxes. During the last five years he has released 20 films, nearly double the previous five years.